Peter House Cottages017687 76018work Self-cateringA warm welcome with home-baking is given to all visitors to Peter House Farm. Visitors to the cottage almost always come back time and time again which speaks for itself. Your comfort is important and pure cotton sheets and duvets covers personally laundered are just one of the little touches, which also includes fresh flowers. 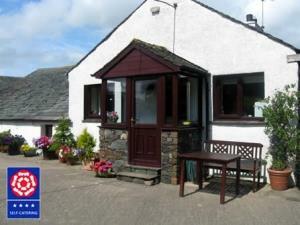 The properties are located on a quiet country road with Skiddaw literally on your step. They are an ideal base for fell walking straight from the door or taking the car to explore the Northern Lakes. There are nearby amenities as the properties are near to the Lakeland village of Bassenthwaite and the market town of Keswick on Derwentwater . The village has a pub and local shop whilst Keswick consists of various shops, galleries, cinema and much more.